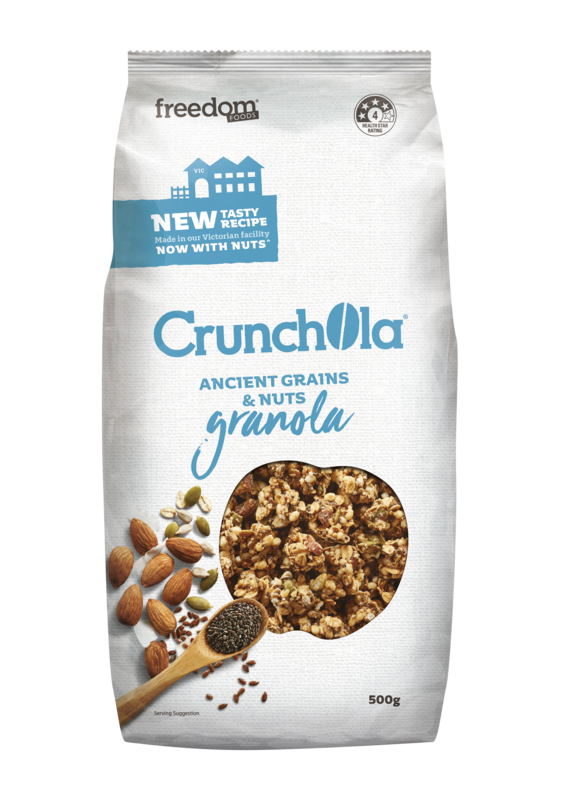 These perfectly crunchy granola clusters are a combination of the finest nuts and grains for enjoyment any time of day. Cereals and Grains (45%) (Whole Grain Rolled Oats (29%), Puffed Rice (Rice Flour, Resistant Dextrin [Maize], Emulsifier [Sunflower Lecithin]), Salt), Teff (2.1%), Puffed Amaranth (2%), Puffed Quinoa (1.7%)), Brown Rice Syrup, Seeds (16%) (Linseed, Pepitas, Sunflower Seeds, Chia Seeds), Almonds (5%), Oat Flour, Canola Oil, Coconut Sugar, Golden Syrup, Coconut, Tapioca Starch, Salt, Natural Flavour, Antioxidant (Vitamin E). 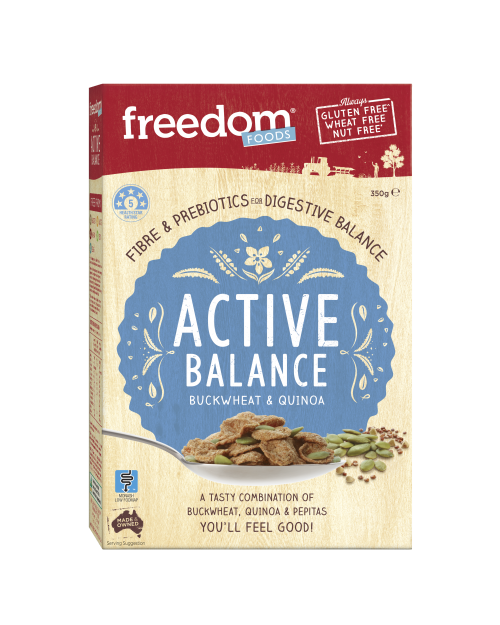 Contains: Gluten-containing Cereals and Tree Nuts. Product manufactured in our Victorian facility and may contain Lupin, Milk, Peanuts, Sesame Seeds and Soy. 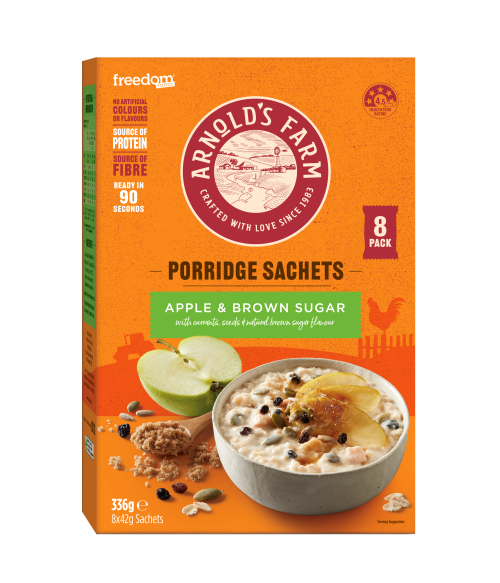 Great with milk for breakfast and great with yoghurt and berries. Also nice just to snack on. Absolutely delicious! Smells good, tastes better and great on yogurt. Very crunchy with a subtle sweetness (I don’t like sweet). Tastes very wholesome and it’s absolutely delicious! I don’t eat cereal for breakfast so I can’t say what it’s like with liquid poured over. However it tastes great as a dry nibble type snack with a cuppa, and works beautifully sprinkled over yogurt. I’m going back to buy another packet! Highly recommended. 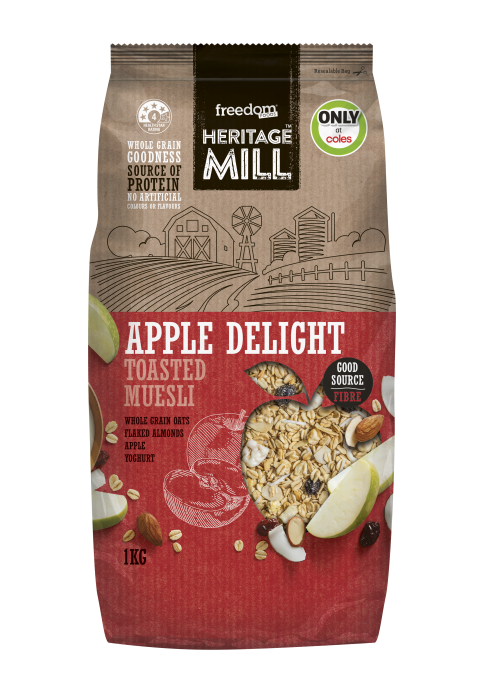 Our traditionally toasted and natural muesli are made from the finest ingredients for a healthy and delicious breakfast. Simply good food by the Mill.